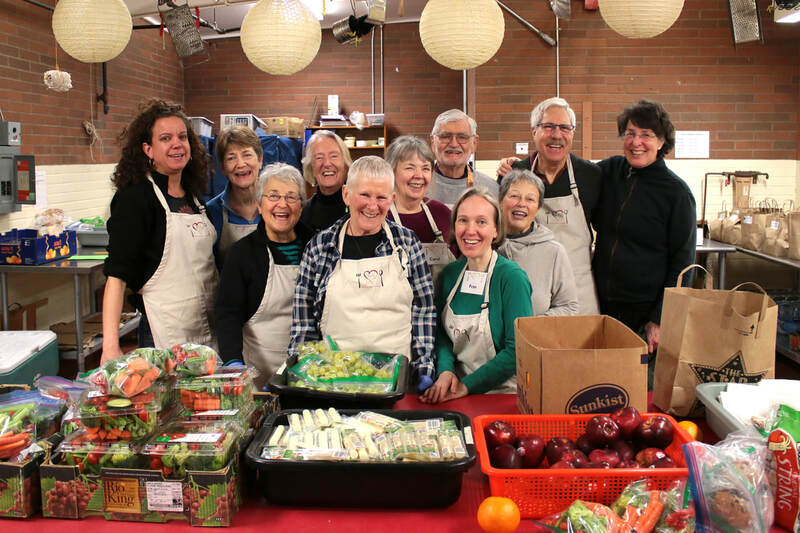 Whidbey Island Nourishes (WIN) is a volunteer-powered, nonprofit organization dedicated to nourishing youth South Whidbey Island by providing no-cost, ready-to-eat healthy meals. 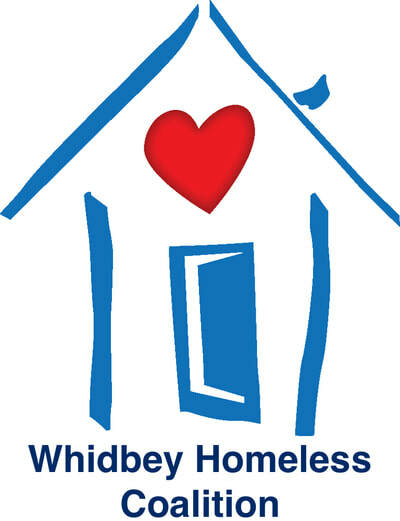 While participating in a Power of Hope program on Whidbey Island in 2007, Mary Fisher learned that there were over 60 known homeless children on South Whidbey. Concerned about how those kids were getting fed, Mary rallied friends to help prepare meals. Deciding that making soup and taking it to the woods was impractical, they connected with Kathy McCabe, the executive director of Good Cheer at that time, and other community members, who shared ideas for the best way to reach kids who were couch-surfing or living in the woods. 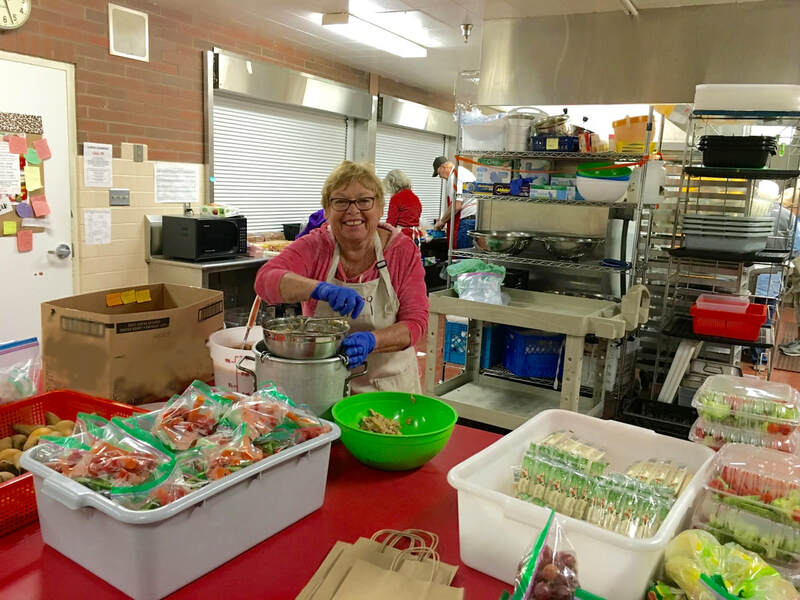 With information provided by the Family Resource Center and Seattle's Operation Sack Lunch, they decided that prepared portable lunches would be the best way to approach the need they had identified, a need that was not being met by any other group on South Whidbey. FINDING THE PERFECT KITCHEN From prepping meals in their own kitchens, to gathering at the home economics room at the old Langley Middle School and then at the kitchen at Good Cheer, to our current home in the commercial kitchen of South Whidbey School District’s South Campus. We moved as the program grew, appreciating the generosity of all who provided space along the way. RAISING AWARENESS WITH SCHOOL KIDS Projects with youth clubs and high school classes, participation in Children’s Day at the South Whidbey Park, and a food education program, helped to spread the word with students and led to expanding WIN’s outreach with teens by offering two self-serve free vending machines in Langley and Clinton. RAISING FUNDS through special events and contributions from individuals and local businesses. There were vegetable garden tours, dinners in private homes, and talks for local service organizations. Des Rock, owner of Useless Bay Coffee Company, provided a benefit dinner at his restaurant, that has become an annual event each February called Heart to Heart. GATHERING VOLUNTEERS From the original team of 5 to a current team 100+ strong. Women and men have joined WIN to prepare food for our programs, bake nutritious treats, deliver meals, organize events, and serve on committees and our Board of Directors. IMPORTANT STEPS 2011 brought incorporation to a 501(c) (3) tax exempt non-profit, by-laws, logo, mission statement, all accomplished by strong leaders from the volunteer Board of Directors. Our desire to reach all South Whidbey families dealing with food insecurity followed by broadening our mission and outreach, led to an invitation to join Goosefoot as a supported organization in September 2017. 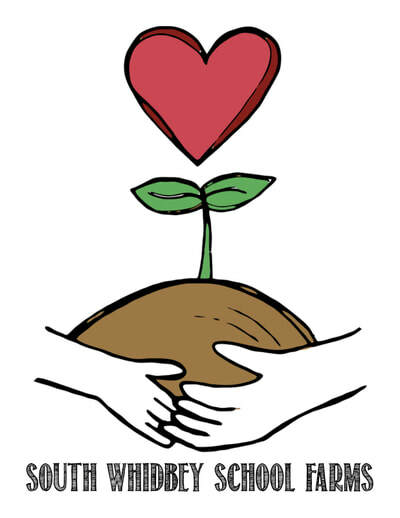 This ever-expanding collaboration with other organizations, farmers, and vendors, along with the generosity of our volunteers and community have made WIN an integral part of the network that supports those in need on South Whidbey.